Samsung has been working on a foldable phone / tablet, code-named “Project Valley,” for at least four years. 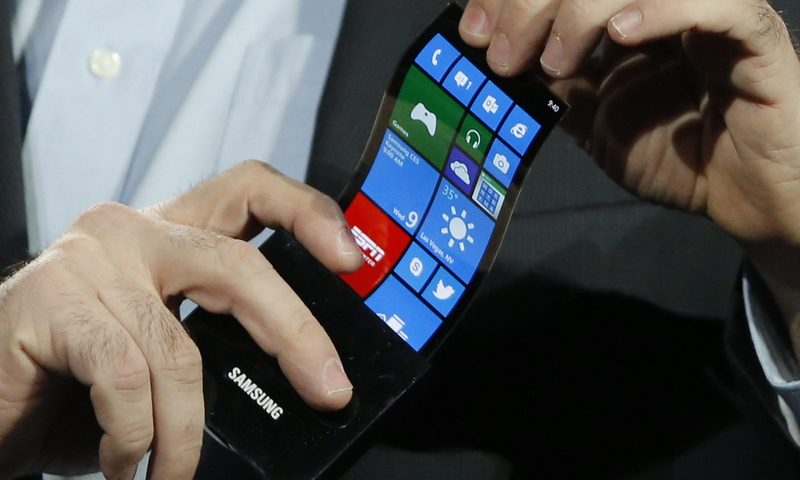 The concept was a phone that folds out into a 7- or 8-inch tablet. Since the teaser's release, however, we've heard nothing but rumors about the project... that is, until today. According to news out of South Korea, the smartphone giant is looking to release a foldable device under the Galaxy Note line. Samsung said that while its goal is to release a foldable device in 2018, there are multiple obstacles the development team is still facing. If the company cannot solve these unspecified problems, it will push back the release. The product was already rumored to be releasing in 2014, 2016 and 2017 to no avail. Koh Dong-jin, president of mobile business at Samsung Electronics, stressed that Samsung is devoted to producing a quality product and that it would not settle with “making a few and selling a few.” It is looking to be the first company to release a phablet with a foldable screen but doesn't want to rush the project. The Samsung executive did not have any further details regarding the device's size, shape or specs. The only indicators of what it could look like come from the original promo and some patent designs submitted back in 2015 (pictured above).